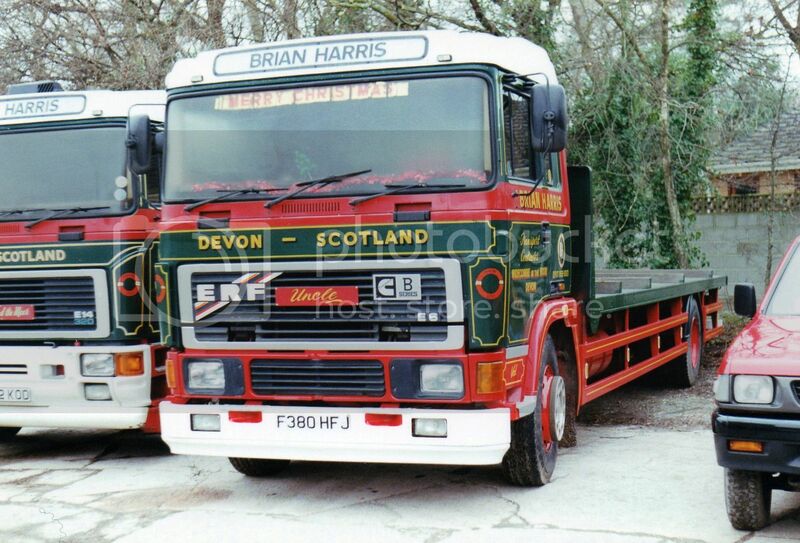 UK Trucks 80s and 90s. More from the UK collection. Photographers unknown. 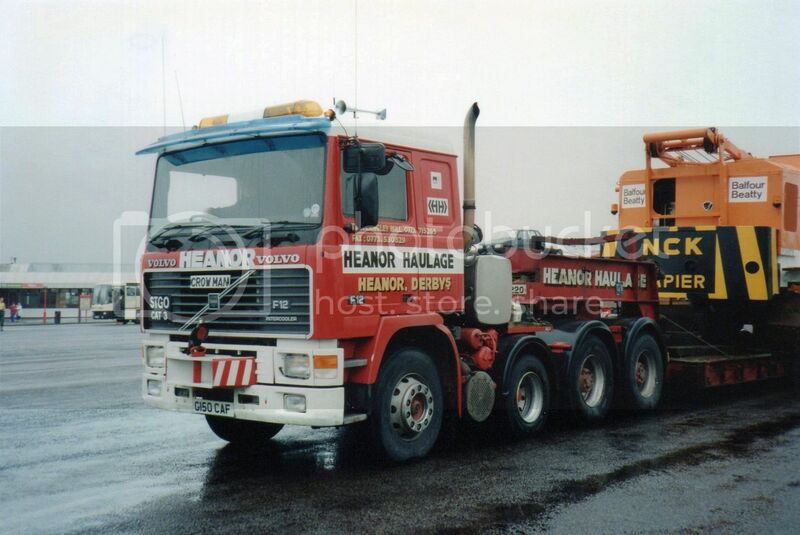 Heanor Haulage specialized in heavy haulage and had a fleet consisting mainly of Volvos modified for the heavy haulage business. 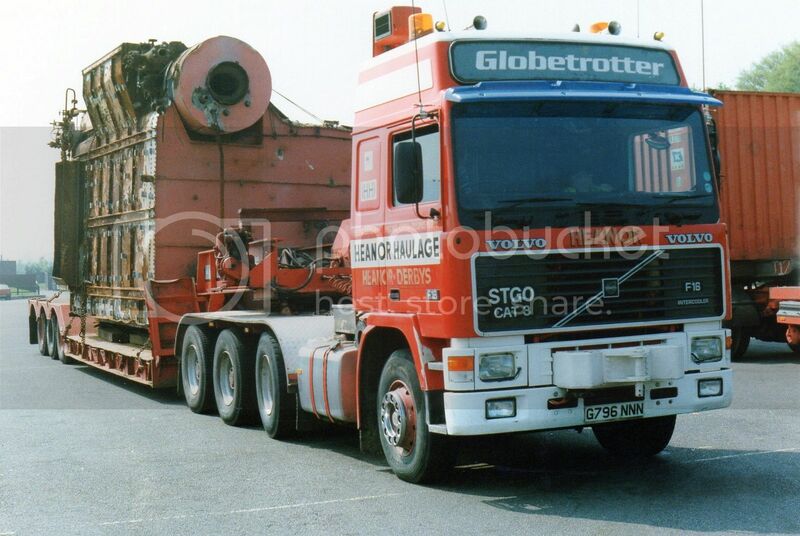 This F16 Globetrotter is on the road operating as a ballasted tractor. Another F16 Globetrotter, this time operating in tractor and semi-trailer form. The angle of the wheel on the second axle suggests it probably self tracks. 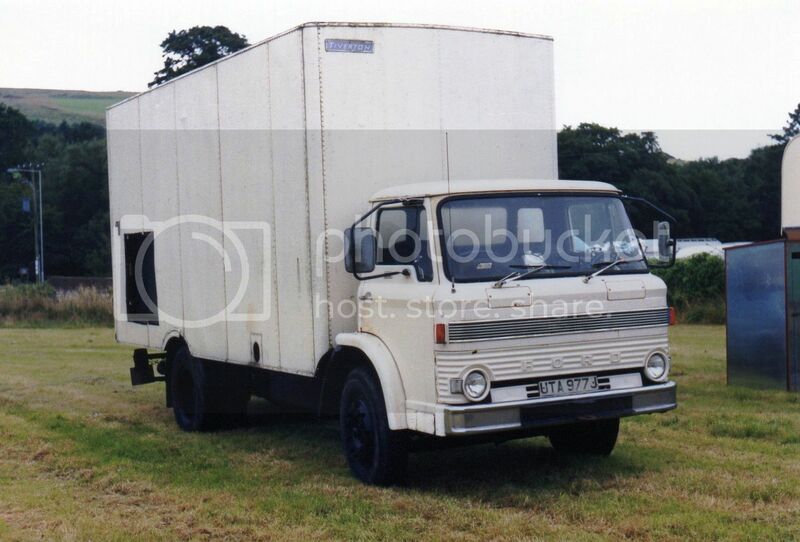 F12 this time with the low top cab. 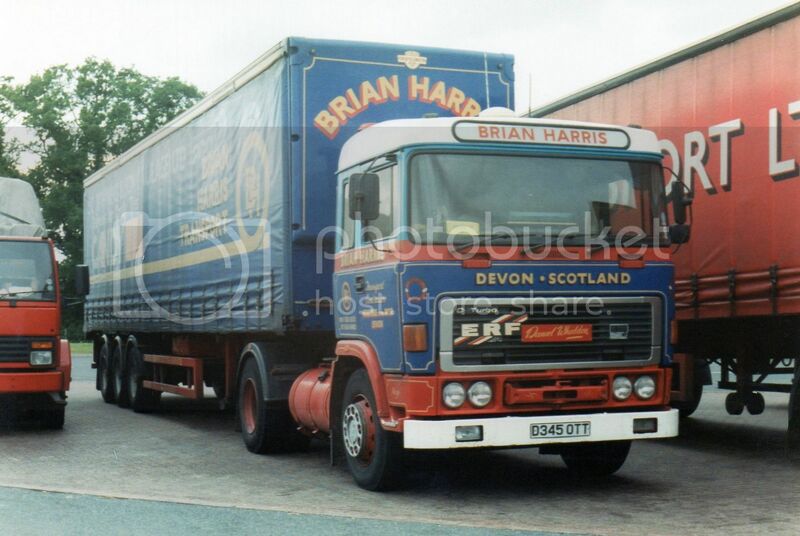 Heanor Haulage is based at Heanor in Derbyshire. 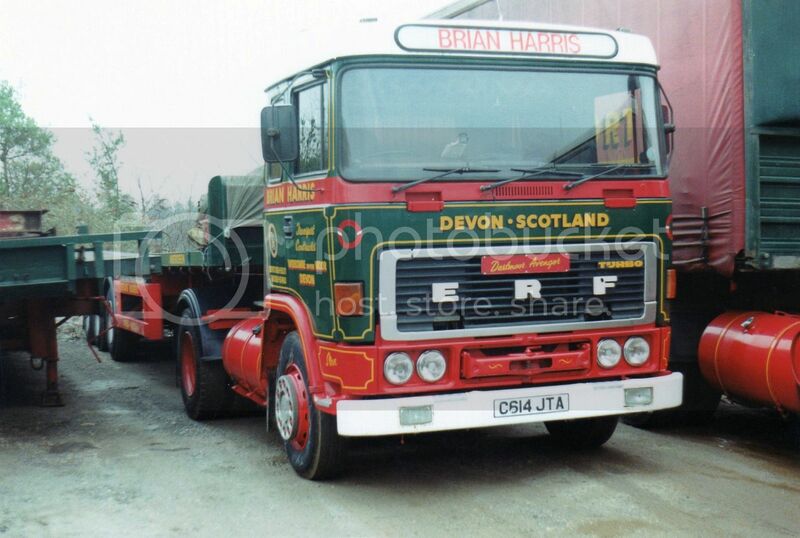 The Brian Harris fleet from Widecomb-on-the-Moore in Devon appeared to consist of only ERFs. Very smart units with traditional pin-striping. This is a C series. 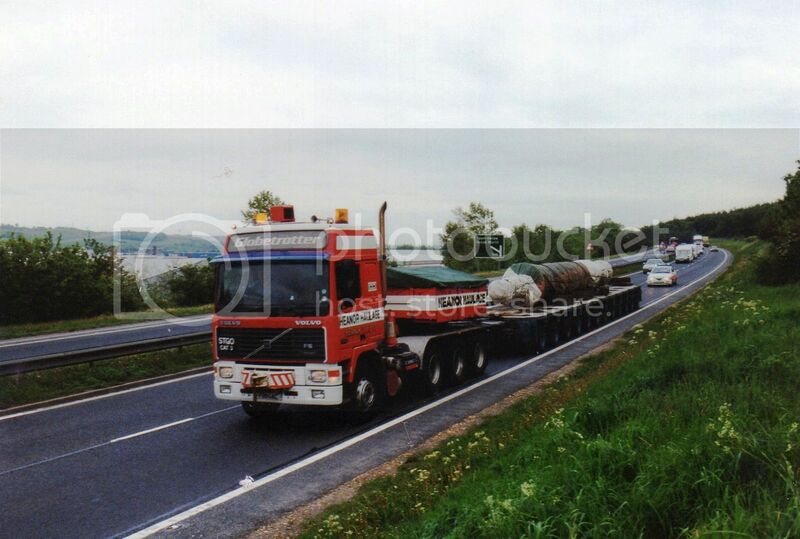 An E series tractor with curtained trailer. 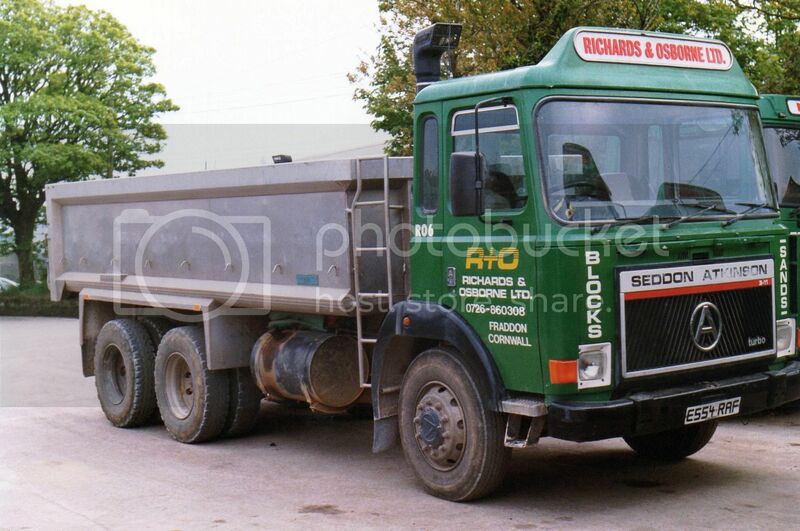 Another E, but this time a rigid flatdeck. A C series again, but this time in blue instead of the usual green. Unknown photographers' works from the UK. 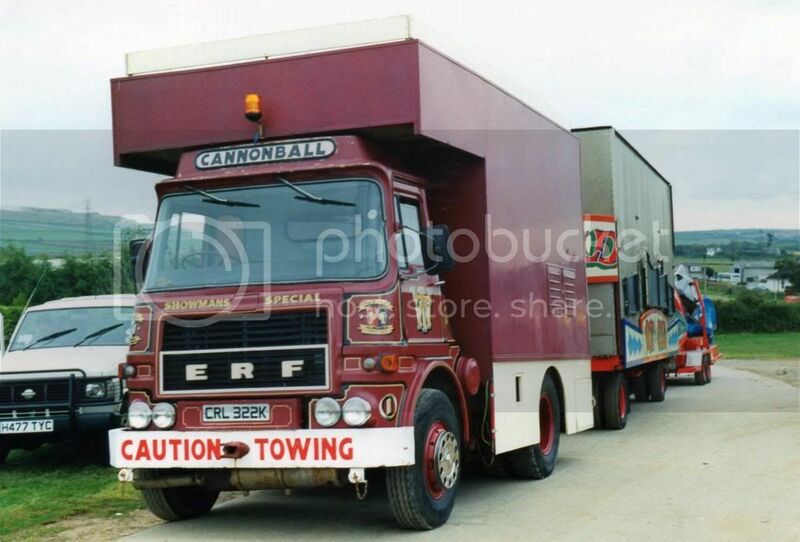 ERF LV 8 wheeler has become a circus truck in its later years. 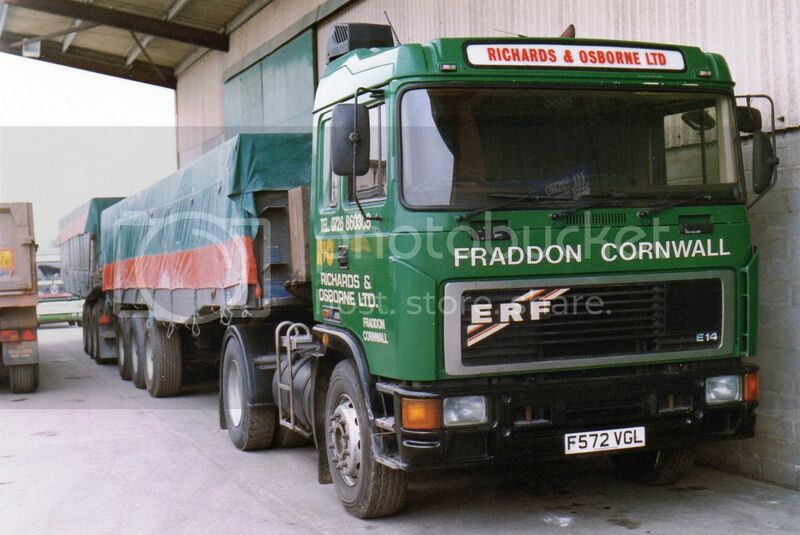 Note the letters across the front don't spell E R F.
Foden's S39 cab must have been one of the first British trucks with a full width cab door, instead of the narrow door necessitated by the wrap around windscreens which were a popular styling feature in this era. 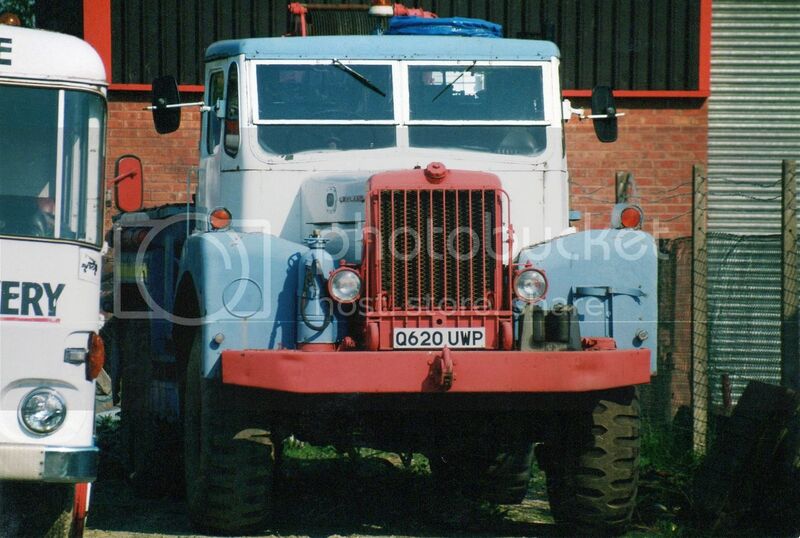 Cummins powered Atkinson Borderer demonstrates exactly what I was referring to in the last photo. 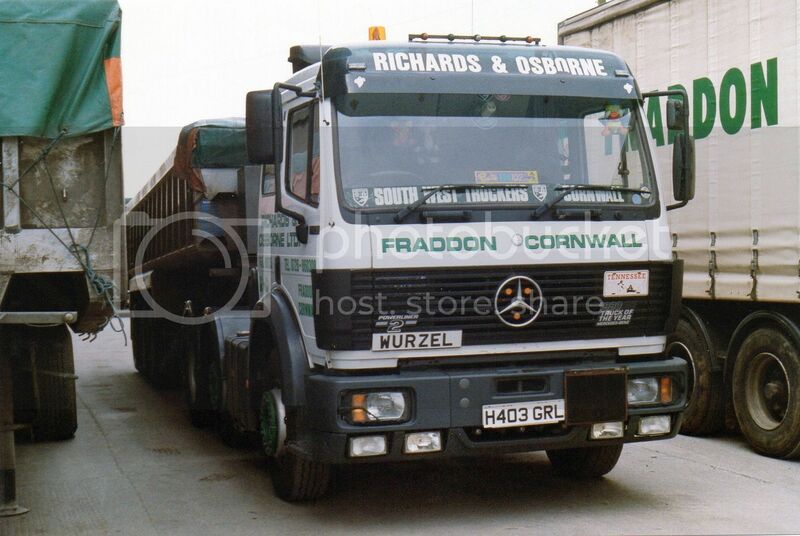 It appears to be being used as a yard tractor for Torridge Transport, Torrington Devon. 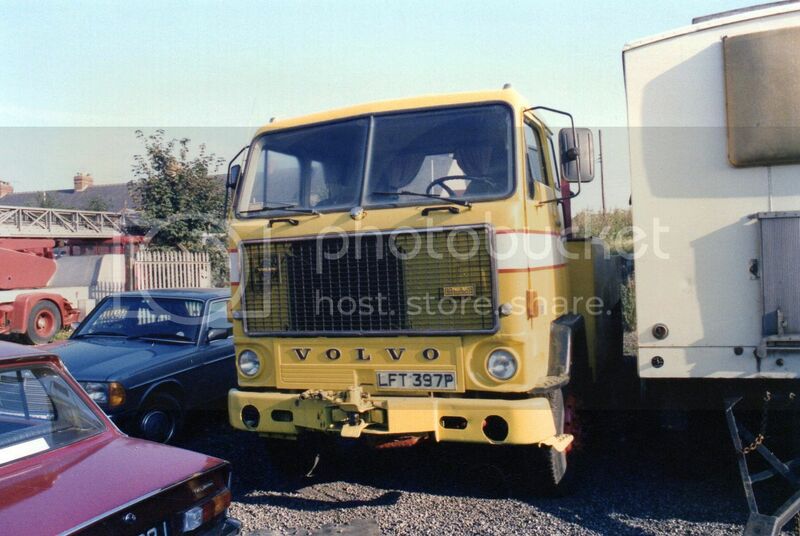 F89 Volvo looks to be rigged as a tow truck. F89s were fitted with the 12 litre 330hp engine as opposed to the F88s 10 litre 275hp. 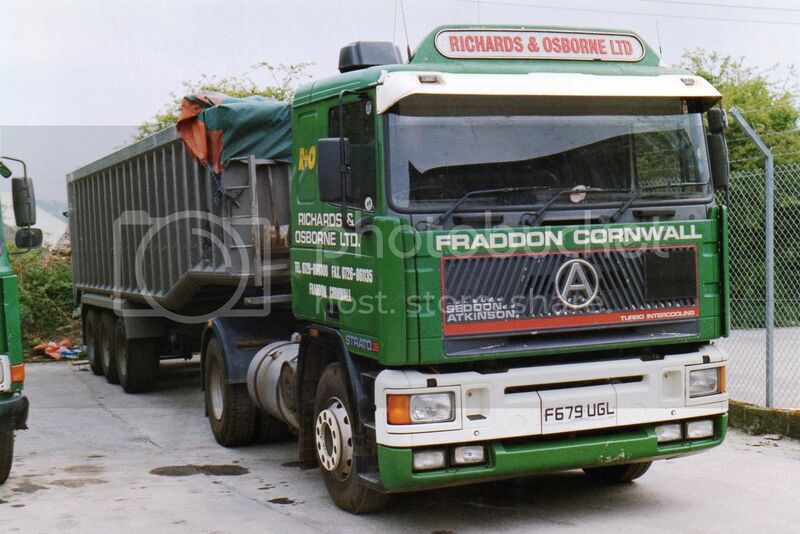 The larger power plant left very little space in the RH side of the cab, so they only came in LHD. There was also a 290hp F89 (in RHD ) developed solely for the UK market as a stop-gap measure until the F10/F12 range was released. In NZ we only had the G88 ( before the F10/12) which had the set forward front axle and trilex wheels. 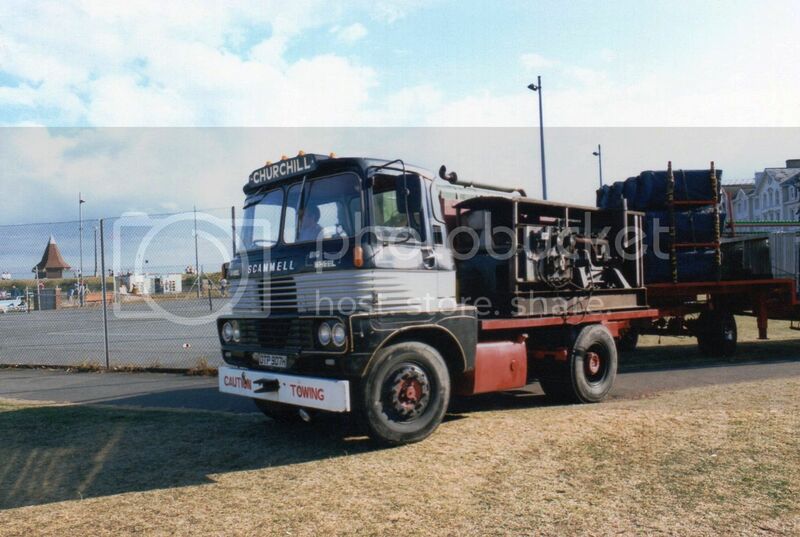 I have seen one F88 in NZ towing a circus trailer, but didn't manage to get a photo of it. There was also a G89 model ,but I don't know what market these were intended for, as of course they had the 350hp motor along with the forward set front axle. 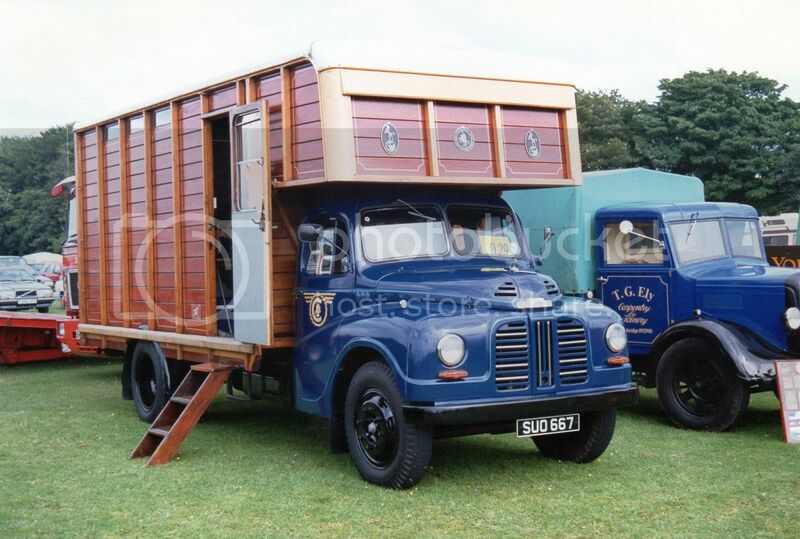 The Cook's Transport Austin Loadstar from 1955, is well known on the restored truck scene. 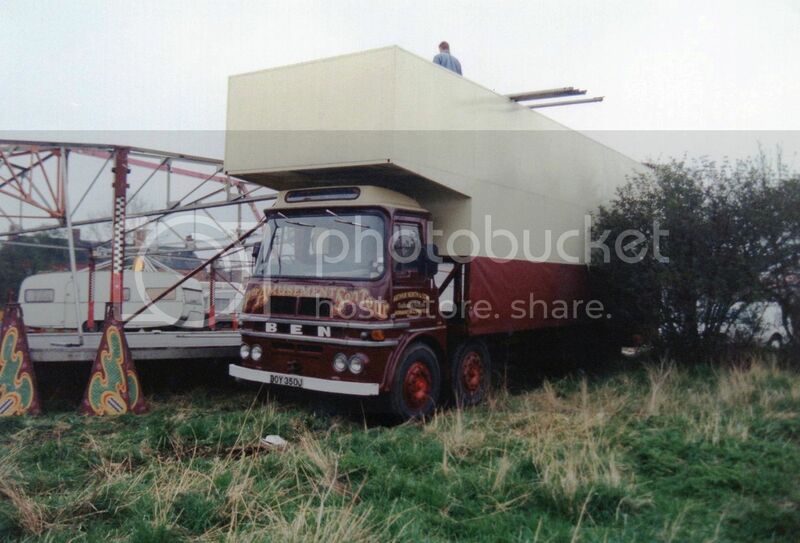 The Leyland Marathon used an elevated version of the Ergo-matic cab. Large vent in the side of the body suggests this D series Ford may seeing out its days as a generator truck for a circus or the like. 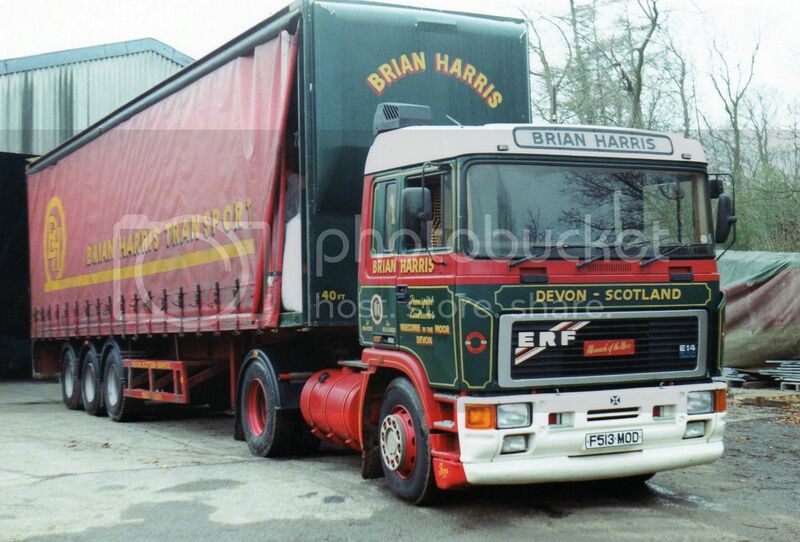 B series ERF doesn't looked to have moved for a while. 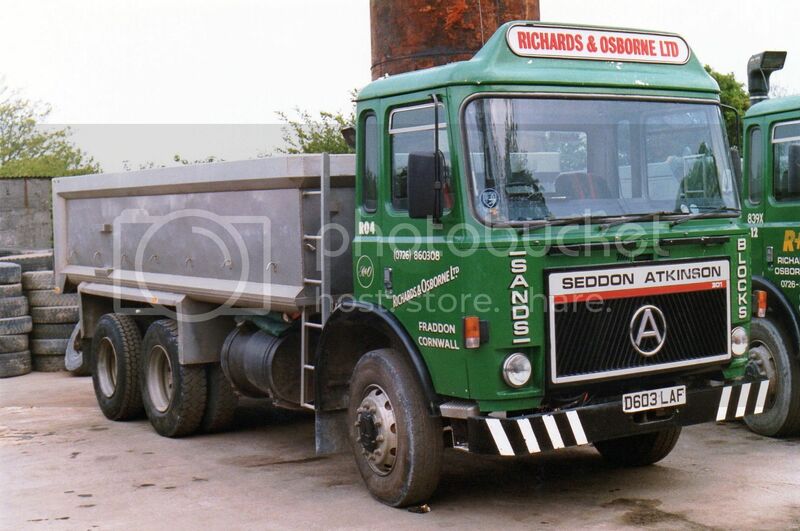 Foden's S21 cab was certainly distinctive. Old Trucks Retired, Restored or Re-used. 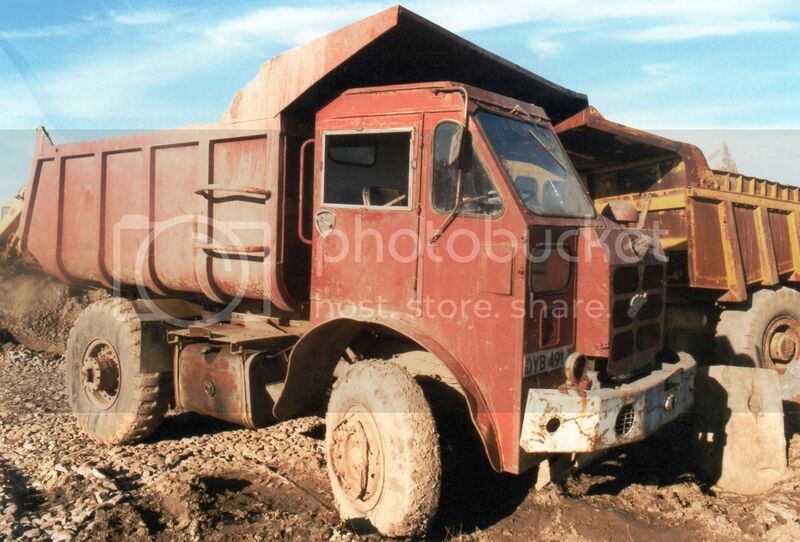 Foden 4DL6/24 looks as if it's had a fairly hard life. 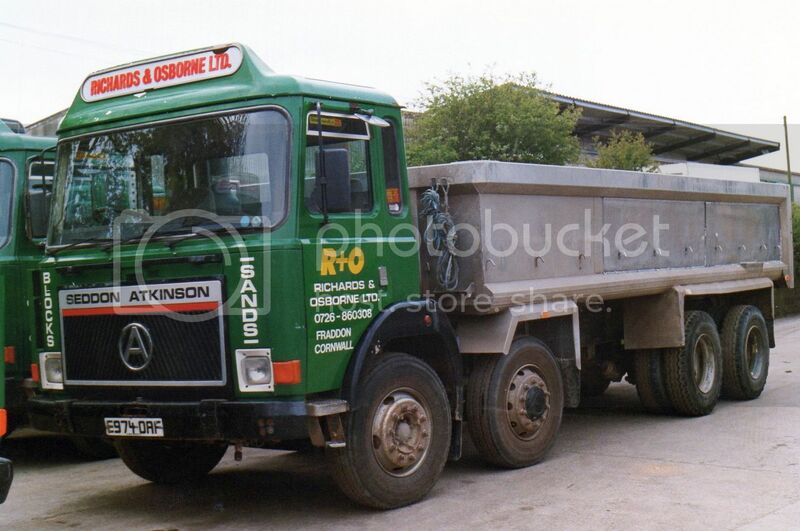 May be still in use, but not by a driver who uses his offside mirror. 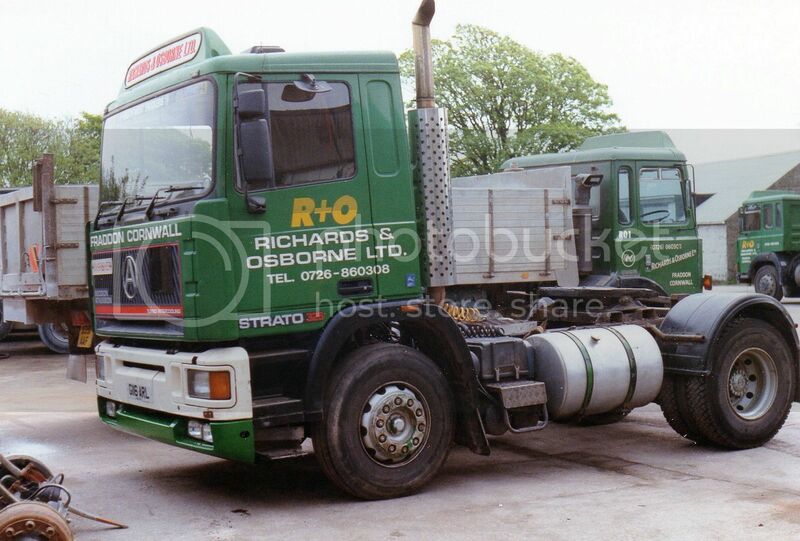 This Dennis, with its Ogle designed cab, has probably carried its last load of refuse. AEC Marshal is (maybe) having an easier life carrying circus equipment. 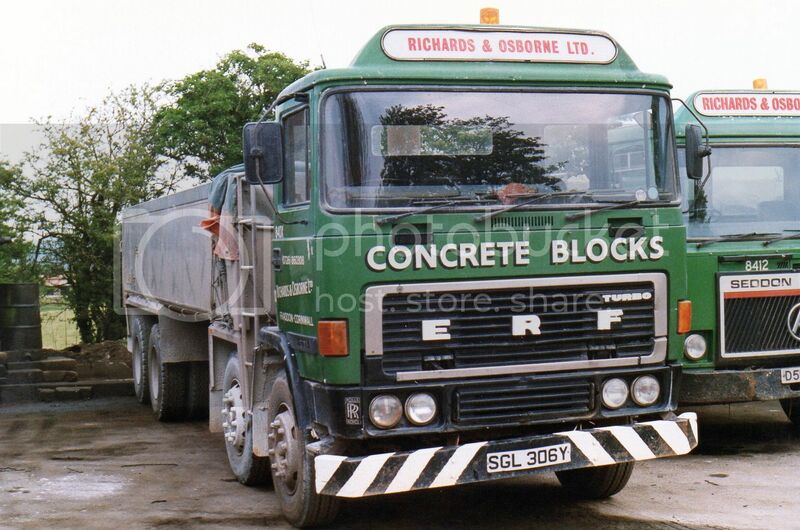 Restored in 1971 says the signage on the side of this old ERF. 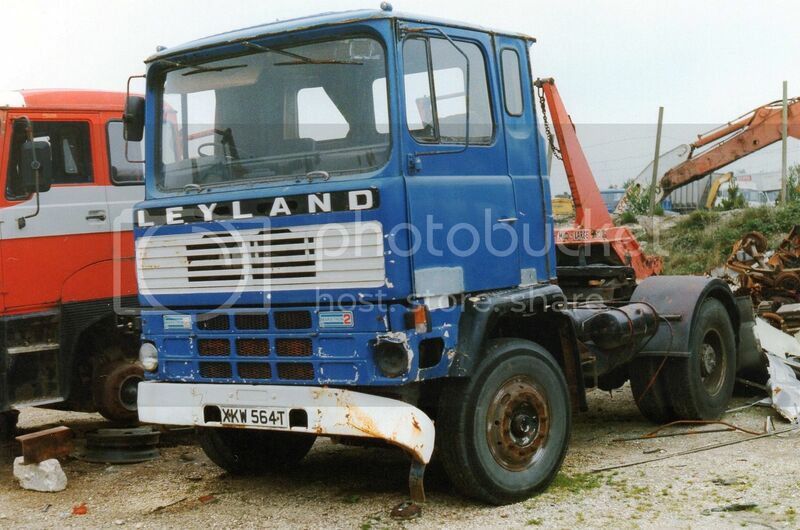 This model of Leyland, I believe, was originally used as a military recovery wagon. 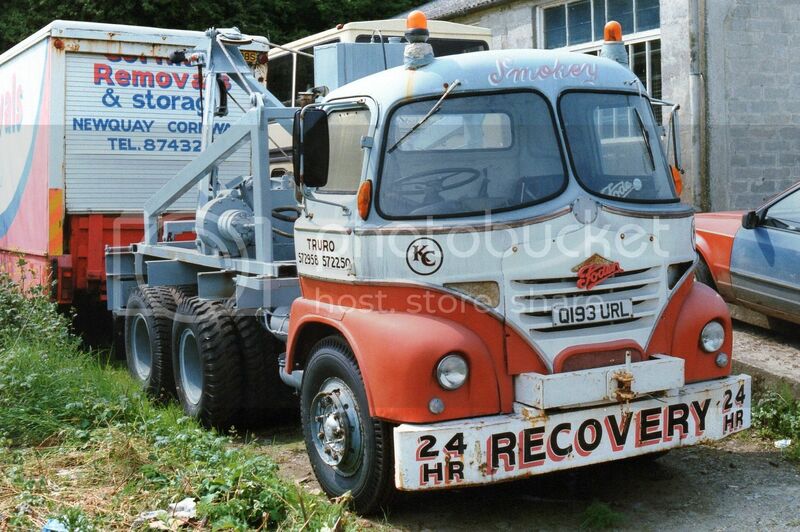 This one looks as though it still does recovery, but not for the military anymore. Does anyone know the model? Carrying a generator and towing a trailer tells me it's a fairground or circus truck. 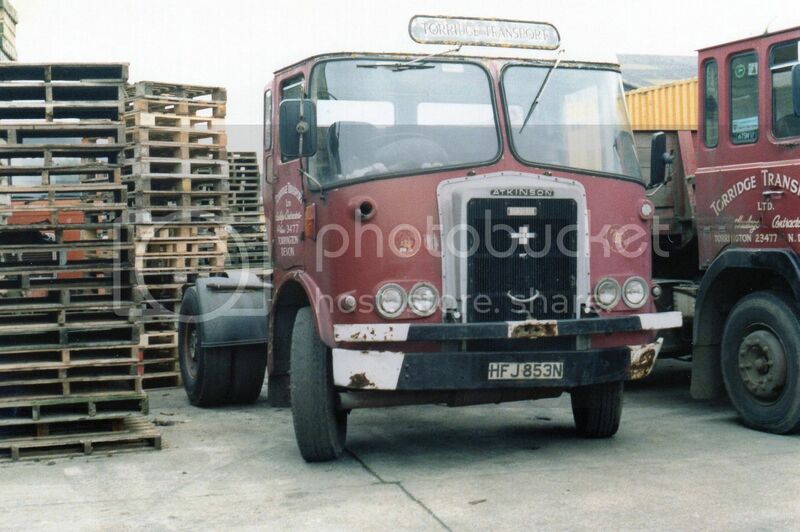 Scammell Handyman with the Michelotti designed fibre-glass cab. 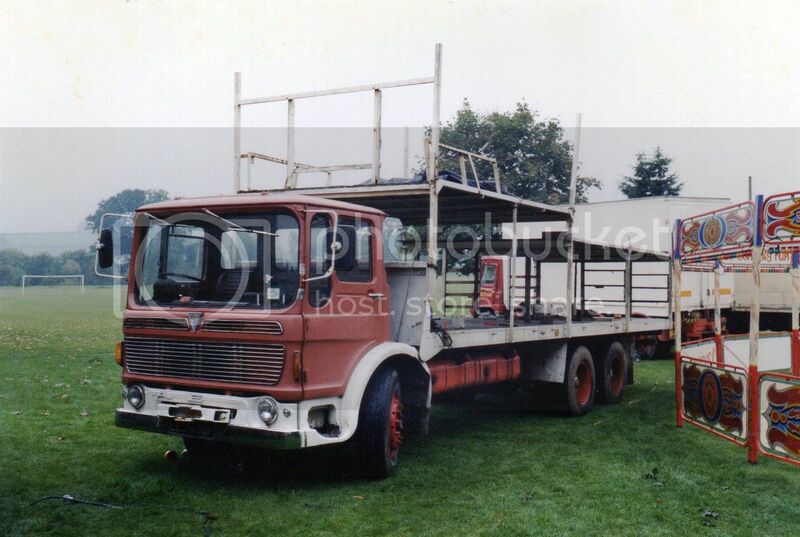 Fairground gear load for this smart ERF A series. 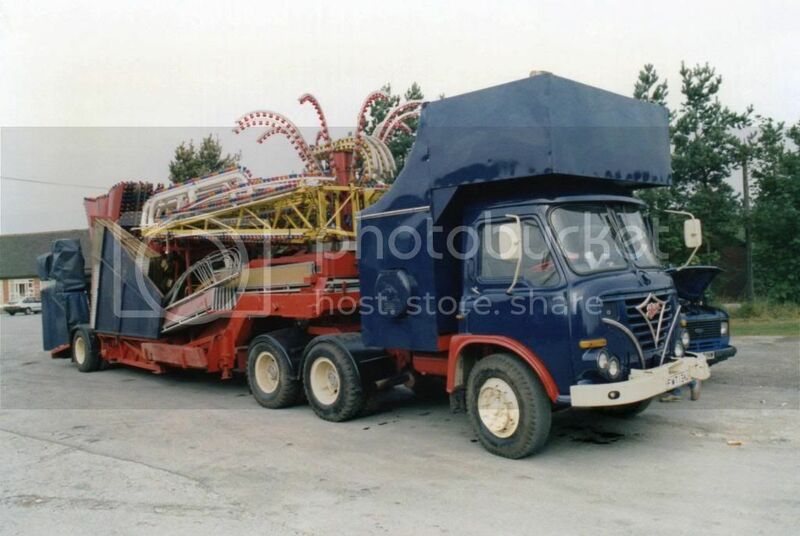 Another circus or fairground rig. 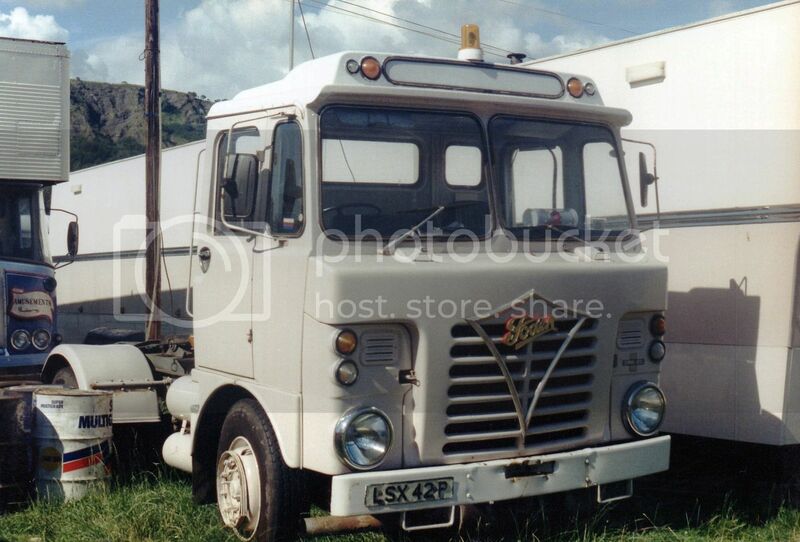 The unmistakable huge headlamps of the Foden S80 cab. 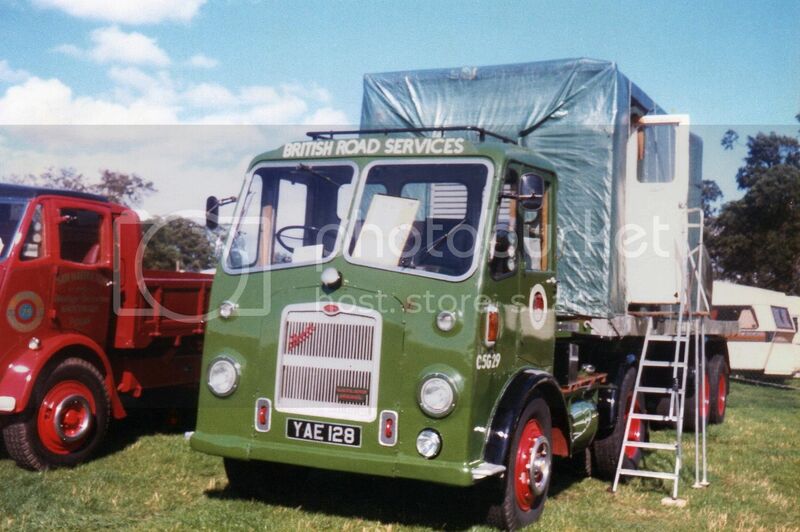 1956 Bristol HA6 and semi-trailer, has been restored in the BRS green livery. 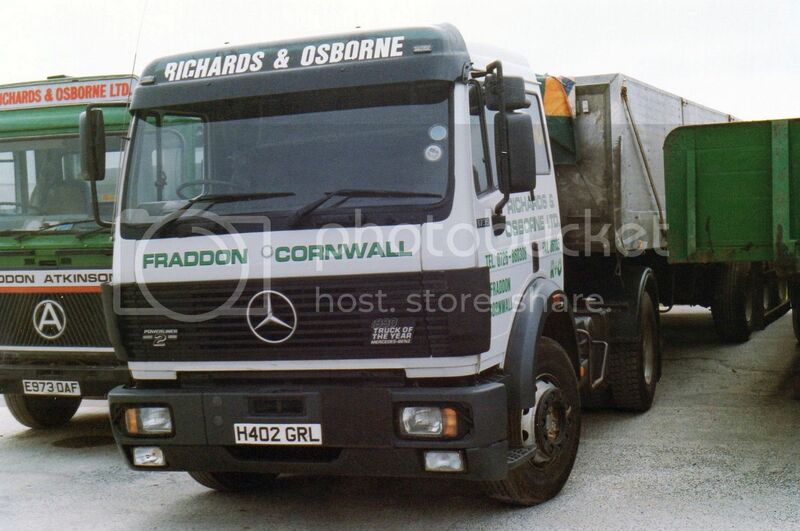 Richards & Osborne of Fraddon in Cornwall were obviously big users of the Seddon Atkinson breed. I am not sure if the company still exists as there seems to be little information on the net. These are more of my collection from unknown snappers. 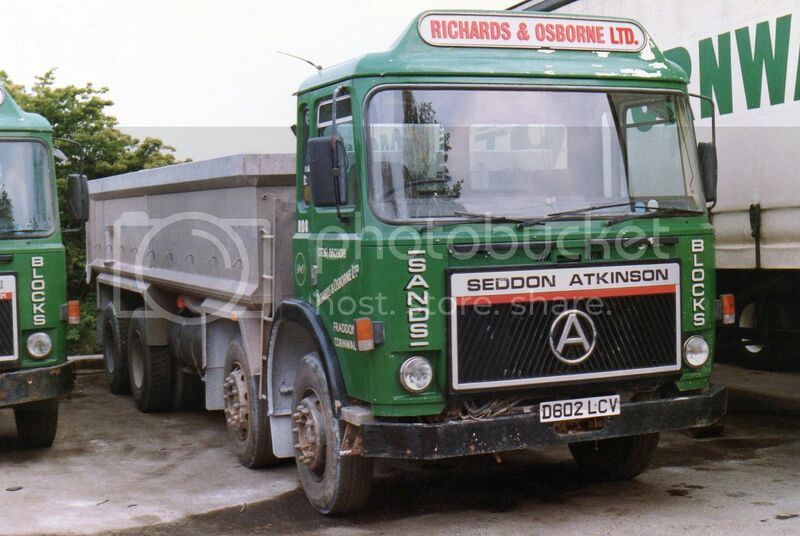 Seddon Atkinson 3.11 6 wheeler with day cab. Day cab Strato 325 tractor day cab. 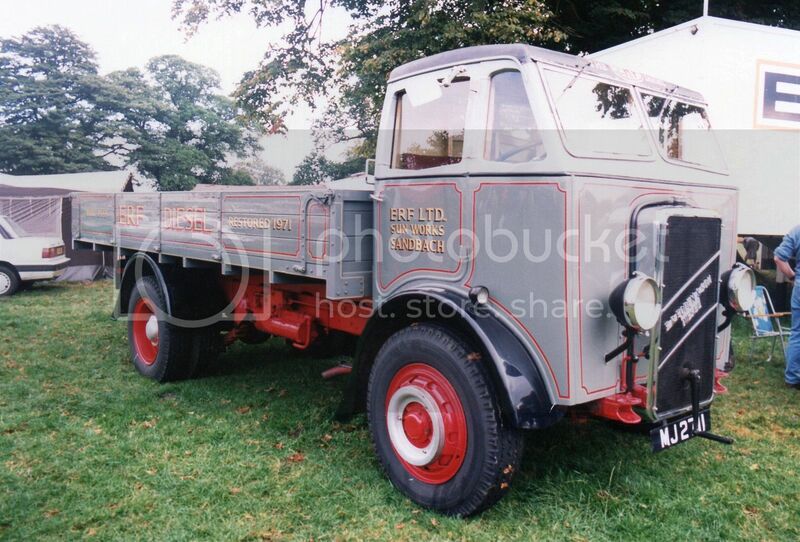 Another 8 wheeler of slightly earlier vintage I would guess. A 301 ? 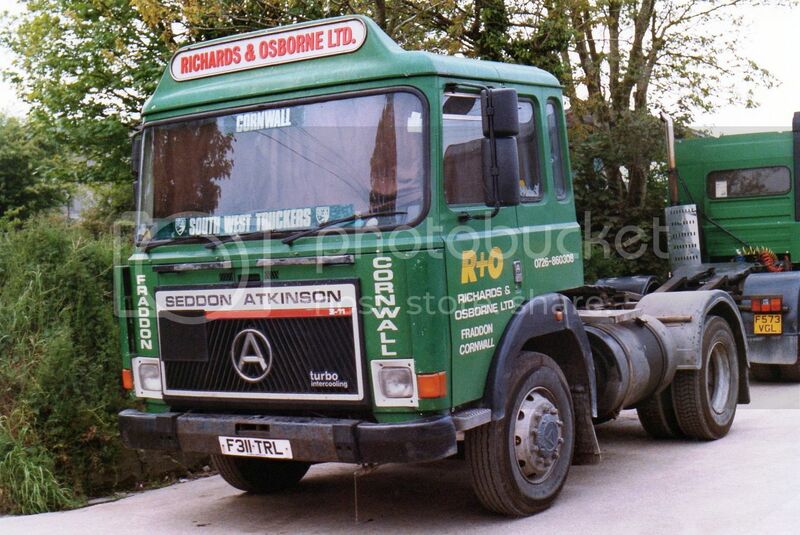 Just to show they weren't all Seddon Atkis, here is an E model ERF. 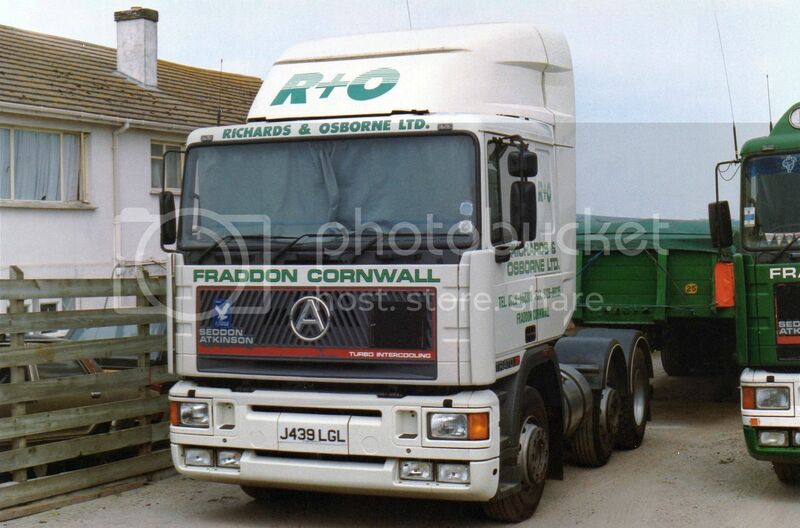 And even a non British truck. 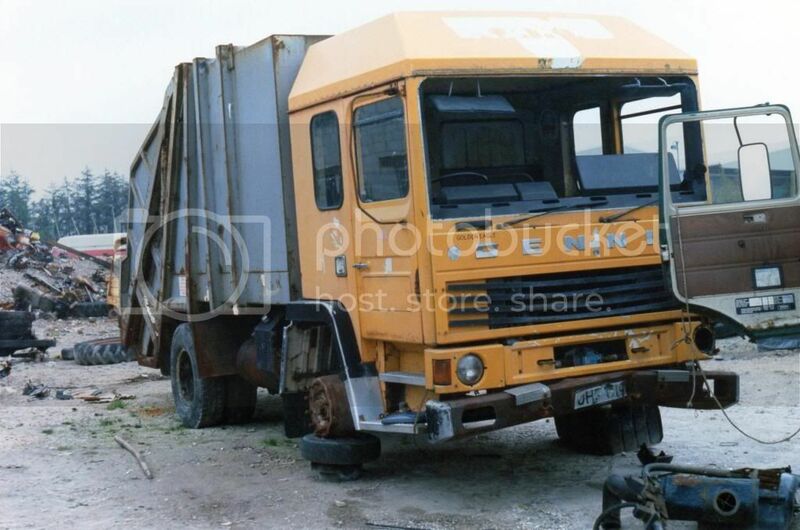 The 1990 truck of the year Mercedes Benz's Power Liner. A Powerliner again. Rego only one digit away from the previous Benz. 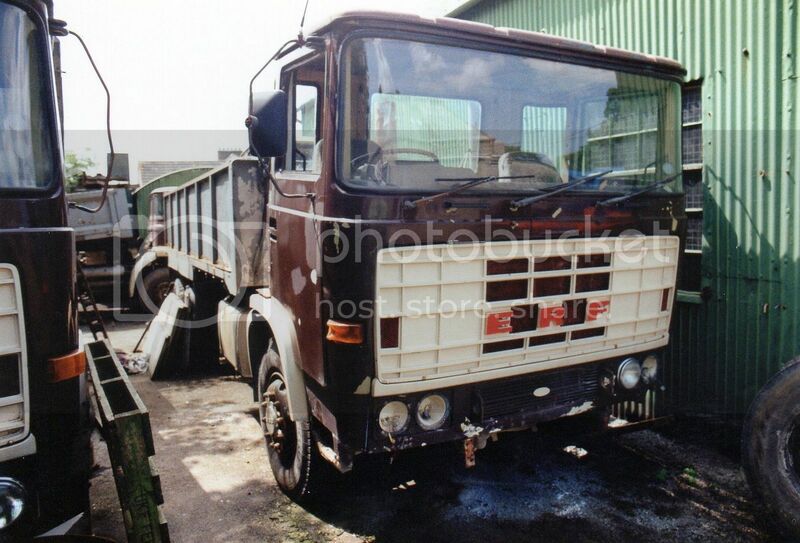 6x4 301 6 wheel tipper. A 6x2 Strato. The white livery appears to supersede the green.